The 2015 Butterfly Irish National Table Tennis Championships will take place in the National Basketball Arena, Tallaght, Dublin this weekend (February 28th/March 1st). The Eddie Limberg Perpetual trophies for the Men’s and Women’s Singles competitions will be the most coveted prizes of the weekend. Last year saw Paul McCREERY repeat and take his second consecutive Men’s Singles title; Paul, based at Nottingham University in the UK, will be many people’s favourite and has every chance of making it a trilogy of titles. Paul will face very stiff competition from international team-mates Gavin MAGUIRE and Ashley ROBINSON. Maguire has had a solid season with some fine recent wins at the Munster Open and has shown strong form of late in the German League – he pushed McCreery all the way last year in a tremendous Final and will look to add to the title he won in 2009. Robinson has based himself in Sweden this year and went close in 2014 making the semi-final – many will fancy the youngster to be there or thereabouts when the Limberg Trophy is handed out. John MURPHY has focused increasingly on his coaching career; however he has won 5 titles since 2007 and should never be written off when it comes to the National Championships where experience, nerve and guile count for so much. Other contenders to watch out for are Ryan FARRELL, Nationally Ranked 6 and Zac WILSON, Nationally Ranked 7. Both players are exciting young talents who will go in to the event with no fear. Watch out also for Donic’s Tom DAVIS, Nationally Ranked 10. Irish Women’s table tennis could also see some big battles this weekend with the title race wide open. Unfortunately, two of the game’s brightest talents, Sarah TIMLIN and Hannah LYNCH-DAWSON miss out through injury – both would have expected to be involved in the latter stages of the event and will be sorely missed. Lynch-Dawson in particular has had a stormer of a season and tops the Women’s rankings. 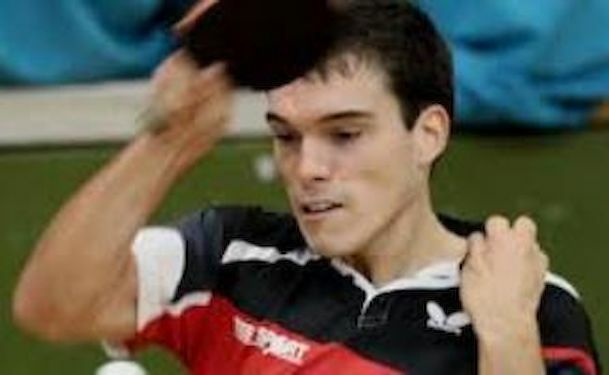 All in Table Tennis Ireland wish both players a speedy recovery. Last year’s champion Emma Ludlow returns to strive to retain her title – she emerged from the pack last year and showed huge character and ability to claim the title. Hard also to look past Katie MCGLONE, Nationally Ranked 2 and with all the ability required to claim this title. Chloe O’HALLORAN is back to defend her Under 21 title and many will feel has all the tools required to claim her maiden singles title. Ashley GIVAN has already 3 National Singles titles to her name – she will be keen to add to this tally this year also now that she is at university in Belfast with the opportunity for additional practice partners. There is no shortage of challengers ready to battle for the title, including Marta ZAREBA, Sabina DEVEREUX and Nationally Ranked 10 Rebecca FINN. It will be an intriguing battle to become National Champion 2015. The other events will see several battles as the holders look to retain their titles. The tournament referee is Tony MARTIN.